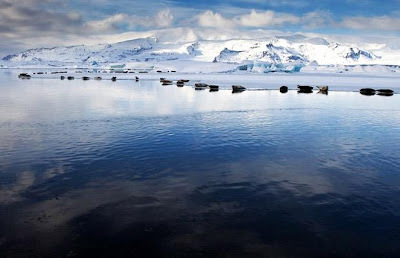 ..and here it is in June 2009, filled with icebergs. 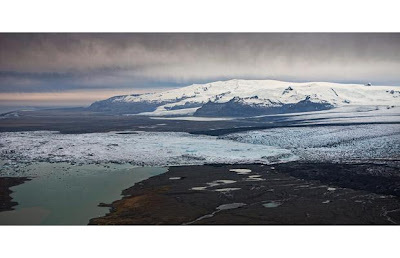 The glacier measures a staggering 60 miles long. 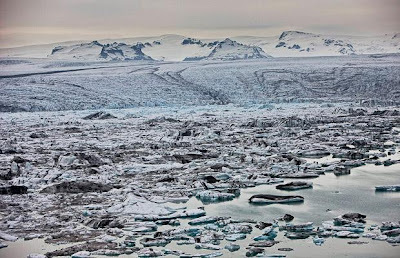 Its surge into the nearby lagoon has now been ongoing for two months and is showing no signs of stopping as gigantic blocks of ice back up and fill the water basin. 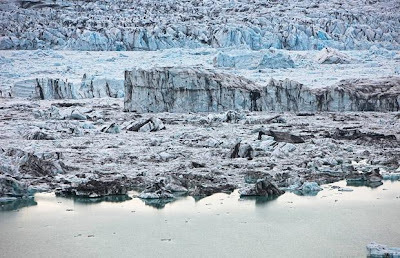 "I have never seen anything like it since I started coming here," he said. 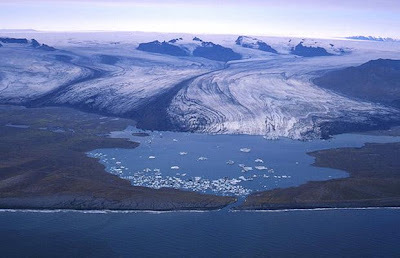 "It is perfectly natural for a glacier to move. 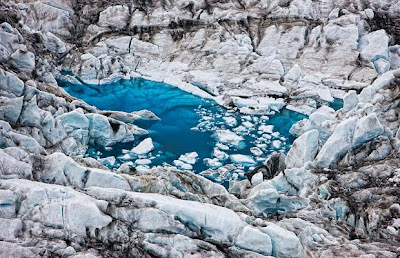 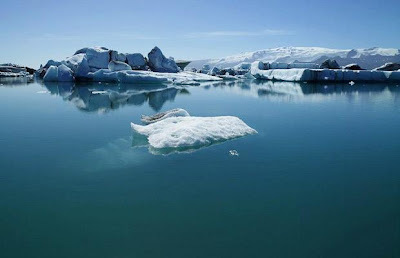 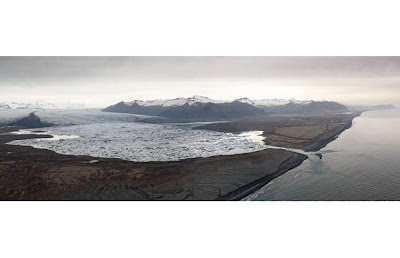 They tend to recede or advance in cycles but this time the tongue of the Breidamerkurjokull has come all the way down into the lagoon"
Ragnar, 51, from Reykjavik, said: "There is no threat of a disaster. 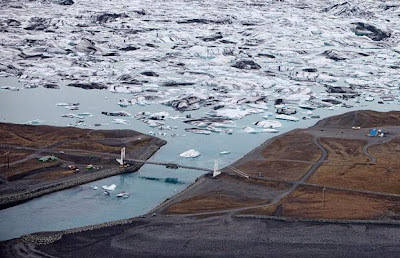 The rate that the water rises, it would take more than 50 years for it to take the bridge but people in the area still feel it's global warming that's doing it. 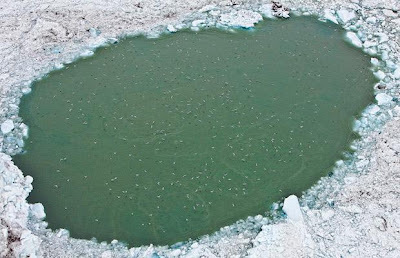 The end result is this extra freshwater is pouring into the sea at an alarming rate"
Despite the frozen look of the pool from afar, the ice is gradually melting - increasing the overflow of the lagoon into the sea.